For almost six turbulent years, Diane Schoemperlen was involved with a prison inmate serving a life sentence for second-degree murder. The relationship surprised no one more than her. How do you fall in love with a man with a violent past? 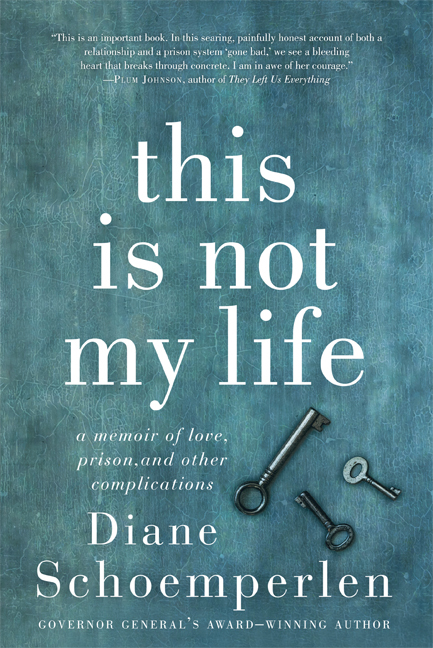 This Is Not My Life is the story of the romance between Diane and Shane — how they met and fell in love, how they navigated the obstacles of passes and visits and parole hearings, and, eventually, how things fell apart, were reconciled, and then fell apart for good. In this candid, often wry, sometimes disturbing memoir, Schoemperlen takes us inside a complex and difficult relationship as she journeys through the prison system with Shane. Not only did this experience enlarge her capacity for both empathy and compassion, but it also forced her to more deeply examine herself.